Mothernode CRM subscribers with Email Marketing included have the access to special tracking code that can be placed in their website and landing pages. This includes WordPress Sites, Joomla sites and other website platforms. The tracking code works in conjunction with Mothernode’s email marketing sequences and/or campaigns. Once a contact, prospect or customer clicks an email link from within a Mothernode CRM email sequence or campaign, that links them to a site that has the tracking code installed, Mothernode delivers a cookie to the visitor’s browser. Every time that contact returns to your website or landing page, Mothernode CRM registers their visit, tracking the pages they visit and notifies you when they are on your site in real-time, via Mothernode’s notifications. In the Tracking Code Settings Window, add your website domains to track, then copy the code provide below to paste into your website. RECOMMENDED: For WordPress websites, install tracking code plugins to place the code throughout your entire WP site or you can install the code on select pages. 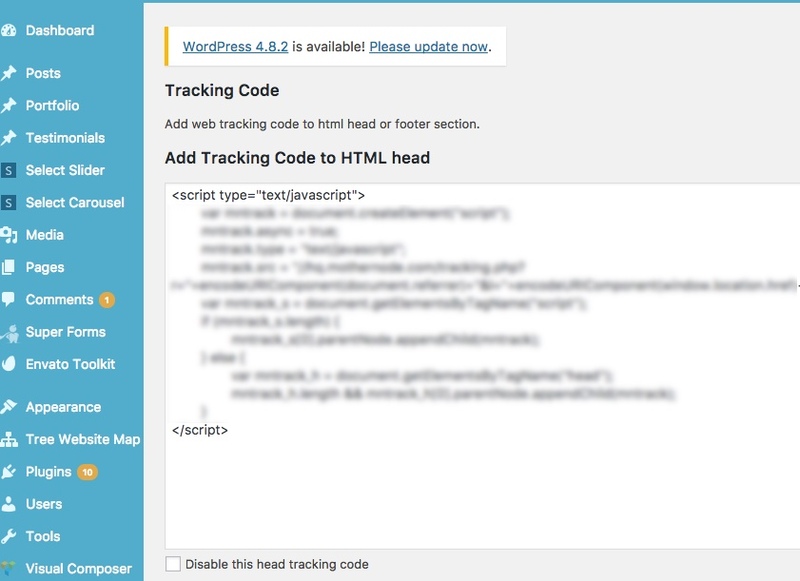 Though there are many code tracking plugins for WordPress, we recommend Tracking Code. You can search for this in your WordPress Plugins. 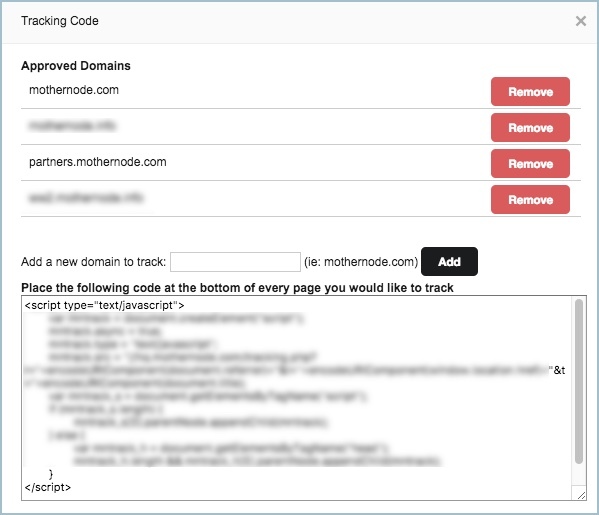 Once Tracking Code is installed, access the plugin from within WordPress and add your Mothernode Tracking Code in either the header or the footer sections available.